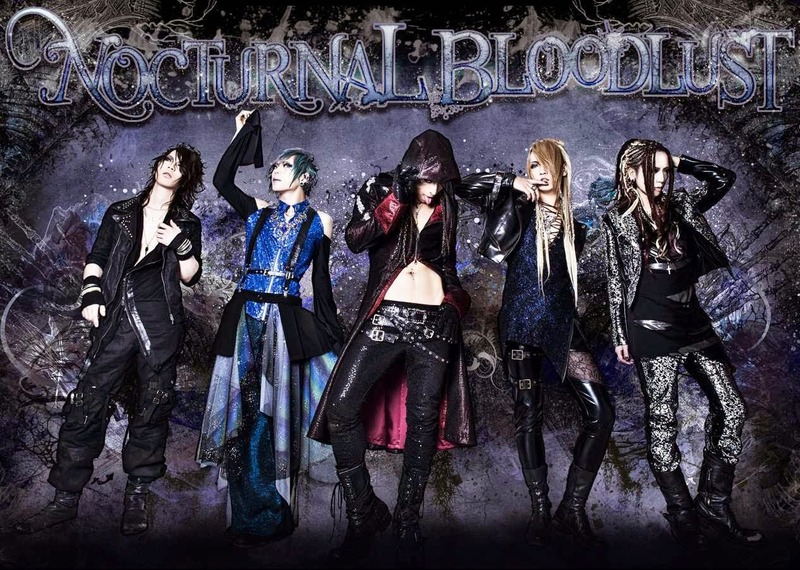 About the Band: Nocturnal Bloodlust is one of those genre-bending bands that can sometimes be difficult to categorize. The best way I’ve found to describe them is Visual Melodic Metal-core. 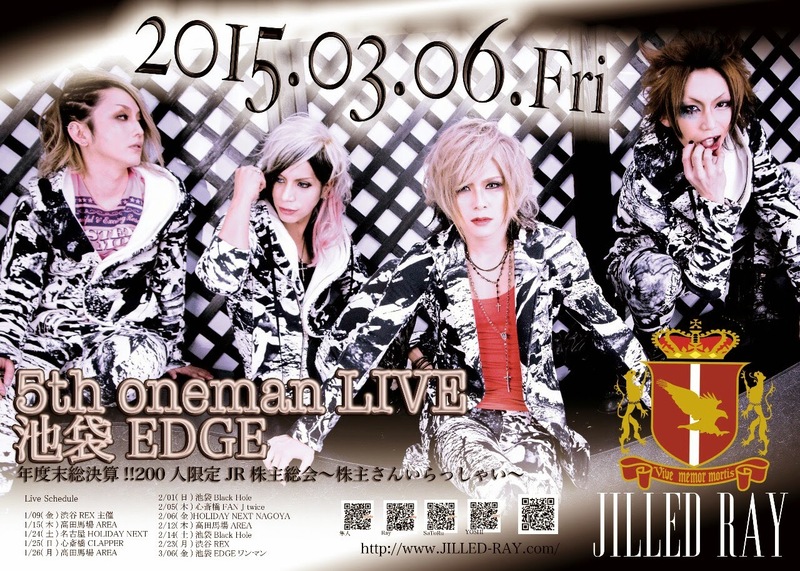 The lineup consists of Hiroon vocals, Cazqui and Daichi on guitars, Masa on bass and Natsu on drums. Since their inception in 2009, they’ve released 6 singles, one mini-album, and two full-length albums and show no sign of slowing down. Gears of Omega, released on 3/19/2014, marks their first DVD release. Packaging: Nocturnal Bloodlust is known to have amazing jacket artwork and this is no exception. An ornate mix of steampunk and gothic elements, it features a monstrous horned skull and a metal-winged butterfly. Inside is a simple card decorated in a similar steampunk style displaying the tracklist and production credits. 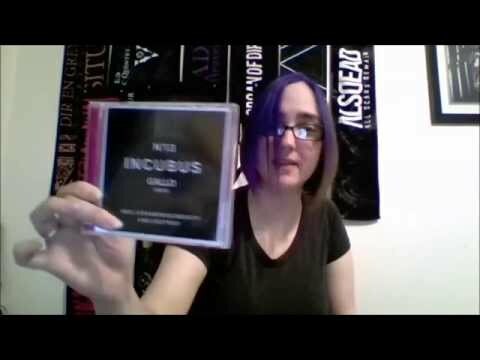 The show itself comes on two discs, the first with the main set and the second with the encore. The show: All I can say is, if they are this good on DVD, I can only imagine what it must be like to witness it in person. From start to finish, the energy is high, kicking off with Rebellion and sliding right into Disaster, UNBREAKABLE and Obligation. Hiro’s voice is nearly flawless, making jumping from death-metal growls to melodic singing in a heartbeat look easy. Cazqui bounces around the stage like a hyperactive moth while ripping through Van Halen-esque solos, complimented beautifully by Daichi’s rhythm. Masa and Natsu lay down a back beat that will rattle your bones, Natsu’s relentless double bass hitting like a kick to the gut. We get a little release of tension around the midpoint of the show and are treated to a beautiful drum solo from Natsu. In the interest of full disclosure, I have to admit that I am quite the drummer fangirl, but this solo left me breathless. While most drum solos consist of a drummer wailing away on his kit and making as much noise as possible, Natsu’s solo has a sort of gentleness and beauty to it while still displaying his impressive skills. The band then rejoins him for FATE, one of my personal favorites, and the performance gave me chills. From here, the pace picks back up to heart-pounding levels and they finish strong with Bullet of Skyline. Overall, the show is amazing and will leave you gasping. There is, however, some questionable editing and post-production sound problems that create a few syncing issues that can be a bit distracting. But, that aside, this DVD is a must-have for any Nocturnal Bloodlust fan (I watched it twice in the first weekend I had it!). I can promise you, it won’t disappoint.